Create multiple animations states in a single QuartzCode project. Very useful if you need to create different animation using same asset. Each animation have its own method which you can call using the generated code. Reuse same color across different layers and timelines. 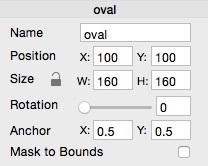 The color is created as property in generated code so you can still change the color using Xcode. QuartzCode can now generate code with completion block, reverse animation, total duration and end time. 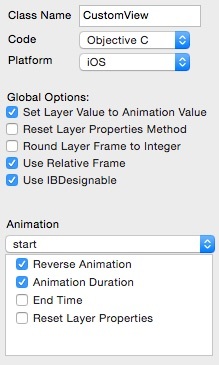 The settings can be set individually for each animation. Timeline shown for Layer that have animations and selected layer only.